Last night, Ohio Governor John Kasich gave his State of the State speech for 2017. We didn’t watch it. We’ve heard it all before and the Indians were on TV. However, somebody who wants Kasich’s job DID watch it, Congressman Jim Renacci. Renacci wasn’t too impressed. He sent out a campaign email today that raised our eyebrows. We heard last night that Ohio has made some progress in recent years and that we can look forward to an era when technological innovations change our daily lives. The reality though is that far too many families and businesses across our state continue to struggle as Ohio faces its slowest job growth in nearly a decade. In fact, our leaders have recently cautioned that our state is on the verge of a recession. This is why I’m running for Governor. The governor and his team surely won’t like that one. 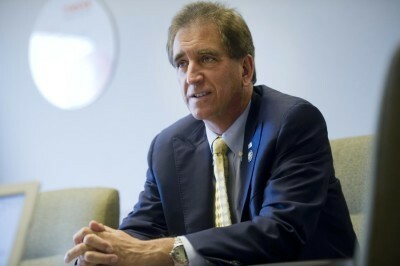 Add Congressman Renacci to the ever-growing list of “bit players”. (We are all proud bit players here at 3BP). Unfortunately for Team Kasich, I suspect we’ll hear more of this kind of talk from the gubernatorial candidates from both parties. Because Ohio’s job growth isn’t good. It has trailed the national average for years. John Kasich came into power in 2011 and shook up Ohio’s economic development agency, promising that privatizing it would give Ohio an advantage over other states and that superior job growth would follow. We were on board. Unfortunately, it hasn’t turned out that way at all, and it became obvious that Kasich’s governorship was just a stepping stone in his presidential campaign. How bad has Ohio’s job growth been? According to economist George Zeller, Ohio has trailed the national average in job growth for 51 straight months. And all along, Governor Kasich has been telling the nation that he should be president because he engineered the great “Ohio Miracle”. This is not an endorsement of Renacci, but as a long time business owner, he is unique among the expected Republican candidates. 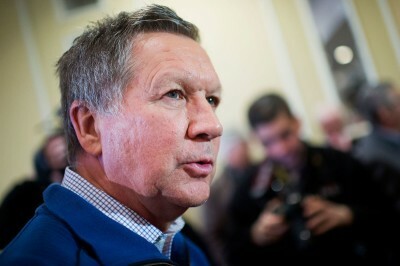 Time will tell if he and the others continue to run against Governor Kasich’s job record.